As many know, Amazon has been looking for its second home. Commonly referred to as Amazon’s HQ2 or simply HQ2, it’s been huge news for months. The decision is highly anticipated and continues to make waves for cities still in consideration and for those who have already been cut from consideration. The economic implications for the chosen city is clearly huge — 50,000 new jobs in the near term alone and the ripple effect on local businesses will be just as big. The decision is expected to come before end of year. There has been plenty of analysis put forward, especially by those who have skin in the game. Pouring over this analysis, we at Redi Match have been particularly impressed with Amazon’s process of letting cities know why they weren’t chosen and what those cities have done with that information. Of course, our laser focused interest lies in what this means for residential real estate and specifically the opportunity for SFR (single family residence) investors and homeowners. To this, we say thanks Amazon. For instance, issues surrounding transportation: would you have been aware (or as aware) of the public transportation issues facing a major metropolis such as Detroit? Or the fact that multiple cities that were cut, technically have international airports, but in reality have few international flights and therefore could not be considered as true contenders? Basic infrastructure alone can create shifts in rents and it can happen fast. Seeing the outcome of a major player like Amazon, are some of these factors now in the consideration set of questions for other companies looking to expand? Do people now become concerned that other companies aren’t going to move or expand in a prospective area? Will demand for rentals and buyer markets soften? It is certainly something that real estate investors should think about. With the HQ2 decision imminent, how many investors are going to put their money where they believe Amazon will go? Real estate demand is surely going to be prime when they deliver their announcement as housing must be taken into consideration. They need to place themselves somewhere where their employees, 1. can afford to live and 2. there is sufficient supply. Looking at the other side. How many current Seattle-ites will be relocating? Surely Amazon isn’t going to start up HQ2 with 100% new staff. So will the Seattle market see an uptick in rentals available as some people in Seattle make the move to the lucky lottery city? Perhaps they will consider selling in Seattle. Residential RE in Seattle has been one of the hottest markets in the country and this could be an opportunity to sell and realize some of the gains earned during their homeownership. Current thought is that now is a good time to sell. The housing market continues to be hot, supply is low, the summer selling season is here and interest rates are on the rise. It is difficult to argue that when Amazon announces their chosen city it’s not going to forever change that city. It will be a boon to the local economy, great for the job market and ripple into all of the service and business industries that we as consumers and employers enjoy every day. Think about what this could do for Seattle and the HQ2’s city. Think about what it is already doing for (or to) the cities that weren’t chosen. You can read more here about the thought process behind the changes cities that didn’t make the cut are already making. In our analysis, Amazon is making the process very transparent and are providing a lot of feedback on why a particular city just didn’t feel like home. It’s a great third party view of changes, upgrades and more that a city might want to undergo to attract more companies and keep the businesses they have. The process of HQ2 has been a great public display of the analysis that goes into real estate decisions within one of the world’s largest and forward thinking technology companies. The parallels between their process and that of real estate investors are significant and establishes a more cogent way to approach RE investments. We at Redi Match are all smiles about this valuable lesson delivered to our front door..
For those of you that haven’t heard the news, Zillow is getting in on transactions. The residential real estate behemoth, which historically has driven the lion’s share of their revenue from ads and leads to agents, is now competing in the iBuyer space. The announcement last week was very careful to point out that they are not leaving or usurping the agent referral business that has been so core to their success. Further, they have said for now that they will be pulling in 3rd party agents on their transactions. There are so many areas within real estate that this announcement could disrupt including appraisals, virtual tours, instant offers and more. The day Zillow announced the change, OfferPad, their iBuyer partner, announced they did not receive advance notice from Zillow that they were launching a competitive offering and responded to the news by announcing the end of their partnership. The point? The industry was immediately shaken. This is but one example of ramifications to the industry…and there will be more. At Redi Match we are extremely investor focused, so naturally we want to consider how this will affect the investor market. Plain and simple, we believe this shift is going to position Zillow as a competitor to investors. They are poised to go after the seller market, especially those who need cash fast. This is the first area in which there is overlap with investors. That’s been an investor sweet spot for years. Investors are able to act quickly and, often are able to be flexible with terms that are attractive to sellers looking to move quickly. Whether it’s the ability to pay with cash, creating a shorter escrow or rent back options; investors have been poised to capitalize on sellers who need to sell quickly and have been able to use this to their advantage. Fast forward to today and welcome Zillow into the transaction. They also have the ability to be agile and fast. With deep pockets and enormous manpower, they could easily create a first mover advantage on purchases. Many investors and investment groups in the SRF (single family residence) space have a broker’s license and therefore potential direct access to MLS data. But think about what other data Zillow has at its fingertips. Property listings aside, Zillow sits on a tremendous amount of data and this data allows them to make very quick acquisition decisions. The question is will this put investors at a disadvantage? Will Zillow be able to put themselves first in line as a buyer? With Zillow as a seller will they have a competitive advantage due to early insights into digital visits to a property, what photos are looked at most on a listing, where those looking at a property are located, and of course last but certainly not least of the advantages is the priority they can give to their listings in the consumer facing Zillow app. All of this digital intelligence will benefit Zillow in making buy/sell decisions. One area that has yet to be determined is what their investment (or buy) strategy will be. They’ve mentioned rehabbing properties to then quickly sell but is there a long term investor rental play as well (don’t forget about the Zillow rental app)? Once they start transacting investors will be able to see what they are up against. Perhaps it will lead existing funds, REITs and smaller investors to rethink their own investment strategy as to not compete with Zillow. It will be interesting to see how their soft launch goes in the limited US test markets they announced, but undoubtedly it will expand quickly as they would not have shaken the market this way without grandiose expansion plans. This new arena for Zillow is huge and far surpasses the extremely lucrative market they already dominate. We intend to continue to provide investors and institutions with investment workflow tools, data access and insights well beyond property data so they too can make lightning fast investment, disposition and asset management decisions. Soon enough many real estate related companies will draw conclusions about whether the ‘new’ Zillow is a friend or foe. As general consumers in the US, people have been trained to believe that products and services should be built for them and customized to their unique needs and preferences. This carries true across a wide variety of industries, including much of offline and at this point almost all of online. From selecting an automobile, to the content you see online, to the food you order, the theme is your option to choose the right fit for you and to customize the options available. Choices abound. Many things that started out as a privilege, like owning a car, have turned into a bevy of choices and a product or service that is customized to your precise specifications. For the example of car ownership, in today’s environment you have the option to have brokers search the nation (in some cases the globe) to find the car you are looking for that meets your exact criteria with hundreds, if not thousands, of different options for each car model. Gone are the days when you show up at a local dealer and feel privileged to pick one of the twenty cars on the lot and settle (or walk away happy) with that one in twenty. Today, at any budget level, thanks to online brokers – eBay, craigslist, CarMax and many others – your available options are almost limitless. Much of this evolution of personalization comes from the advancements in data and technology. As data has become more readily available and widely collected, and as technology has allowed for the manipulation of data with quick application of models, personalization can be on demand and predictive analytics can make the personalized product or service available before you even know what you want. Whether it’s custom playlists for your listening pleasure or stock portfolios custom built to your risk tolerance and interests, personalization is here to stay and is only getting more mature. Personalization and customization has been prevalent in real estate for decades. When searching for your home you have preferences for style, design, architecture and of course location. This is what your agent or broker will use as parameters to determine what properties they will show you. Of course, their ability to match you with the best properties on the market is what makes any agent or broker successful, along with service. As investing in single family residences becomes more commonplace, this same matchmaking process has been redefined. From start to finish, how do investors find the right match for their investment needs? They are likely not as location restricted as homeowners; they care about many of the same property characteristics; and then much much more. After all, they will be renting the property, therefore it needs to appeal to the future tenants. Further, property investors need an in-depth financial analysis and comprehensive insights into the neighborhood, the city and even the county in order to make a successful investment. The number of attributes considered when evaluating residential property go up exponentially when you are looking for an investment. Two of the most important factors when considering investing in real estate are timing and location. When you are buying a home to live in those two factors mean something completely different than they do to an investor who is purchasing homes as rentals. Timing for investors does include things such as where interest rates are at at a given moment in time, but it’s typically not as critical as it is for a homeowner who is evaluating what they can afford and locking in a rate for 10-30 years. Investors are thinking more about timing from the perspective of possibly flipping the property, or adding it to my long term hold portfolio. In either scenario, how much time will it take to get the property flipped, to rent it, or to rehab it then list it for rent. And, how do you determine vacancy rates in a particular neighborhood? In terms of location, homeowners are often familiar with an area and rely on local knowledge and time spent. For investors, local knowledge often plays a role but as a fund grows and as diversification or expansion becomes critical, investors need to commit to research. Further, from a location standpoint, economics comes into play. Economic factors such as employment rates and sectors, household incomes, vacancy rates, housing supply, new home building statistics and more. The importance of these data points are only one level of research that needs to be done before an investment is executed upon or even before a zip code or neighborhood is selected. This all leads back to personalization. Economic trends or neighborhood characteristics that appeal to one investor do not necessarily appeal to the next. Time horizon, location and economic outlook are unique to each investor or fund and they have the luxury (and tall task) of selecting from properties across the country. This is where data and technology will again dramatically disrupt another industry. Investing in residential real estate, specifically single family residences, is difficult. Every property is unique and neighborhoods can be vastly different from one block to the next. If you look at what Zillow has done for home searches, what Google satellite images have done for street views you can start to imagine how much data is available that can be harnessed to provide decision intelligence that is personalized to individual investment strategies. Redi Match has begun to scratch the surface of personalizing property matches to your investment strategy, leveraging robust sets of data and machine learning technologies. Our upcoming releases will provide the personalization and matching technology that, to date, has not been available to investors within residential real estate. We continue to see technology make huge strides in real estate and believe that it will be beneficial to a much wider audience as personalization becomes more pervasive in real estate technology. We are pushing the boundaries and bringing these advancements to every corner of residential real estate. The sector is (finally) changing quickly! The Redi Match Vision: The intersection of data, technology and real estate. We have a vision, a vision of accessing robust data in a user friendly format to equip individuals and institutions to make faster and smarter real estate decisions. 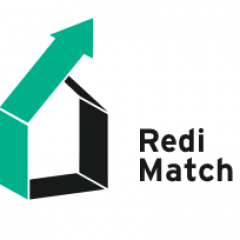 Redi Match focuses on the residential real estate market, and our journey is just beginning. Tackling the big problems first. We chose to enter the market starting with residential real estate. Public records of improvements, wear and tear on an individual property, and unique property characteristics are examples of research and data that are more challenging to obtain in comparison to commercial real estate. It is true that many county recorders offices are working toward giving online access to their public records, but access still remains rare. It is also true that many improvements to a property are outside the line of sight of a county office. Further, there are the intangibles, not available publicly, such as sun exposure or views. Our focus is on taking comprehensive individual property characteristics, neighborhood statistics, macro-economic trends and many more elements to create valuable insights for intelligent real estate decisions. Residential Real Estate as an asset class. We’ve noticed something else too. Attention is shifting to residential real estate. Invitation Homes went public this year with a $1.5B valuation, and many more REITs and real estate crowdfunding companies are now investing in residential real estate. The largest institutions are getting into a sector that, historically, was reserved for individuals, investment groups and family offices. These shifts will lead to faster innovation in data and technology specifically designed for the nuances of residential real estate. As a by-product of this trend, new markets may open up to those individuals who have been interested in diversifying their investments but have stayed away from residential real estate due to lack of information, location or finances. As this investment asset class matures, we believe individuals and institutions will benefit from easier access to data. We are serious about matching. Big data has lead the way for personalization to insert itself in just about every aspect of life. And why shouldn’t it? Not everyone agrees, because at times it can feel invasive…but at other times it reduces your search efforts and ultimately saves you time and frustration. Whether it’s Netflix suggesting a movie to you based on your prior movie consumption, or a dating site suggesting partners, you likely appreciate not having to start ‘fresh’ with every new search. We feel the same in real estate. We recently launched the ability to create custom profiles to match you against the properties you are analyzing. We have big plans to make Redi Match more robust, allowing for discovery of new properties you may not have previously considered, and increasing the matching criteria to help analyze properties you already own or are assessing. Whether you need an on-demand dashboard at your fingertips or you want to export reports to deliver to clients, Redi Match is your one stop shop. Learn more by visiting us at www.redimatch.com. For agents, brokers, real estate professionals and property sellers there are a multitude of technologies coming online to turn the real estate industry on its head. When data and organized research that is important to today’s investors is available to more, we predict a significant market shift. This shift will allow real estate professionals to have a higher frequency of repeat clients, allow them to participate in sales outside of their ‘home’ territory and bigger commission splits for referrals…among other changes. One of the steps to making this shift is surfacing properties to potential investors regardless of where they are located. Keeping in mind that they may not be familiar with the location of your property so it’s very difficult for them to discovery a good investment property in the traditional search systems. In today’s market, investors, especially smaller investors with 1-3 properties usually buy in areas they have some current association with or have lived. Either where they live now, it’s where they grew up or went to college or where they current have family or friends. This provides a level of comfort when taking the leap to investing in a property. Access to information always opens up markets and we believe it’s coming at a newly quickened pace in residential real estate. Identifying those specific data points is of critical importance when making an investment decision. Add in the complexity that not every investor is the same and goals for any given investment are unique; quickly the data and information you need to make a decision just became a lot more complex. As a real estate professional you likely market your listings in your local area. You have a defined area where you work and that’s where you put your marketing efforts. But what about those investors that are farther away. How are they going to find you and how are they going to know that your market and your property are a good fit for them? This is where we make the complexity more simple for buyers. Applying data science across millions of data points we match investor profiles with properties available in the US. As a first step we want to compliment the properties in our database with properties submitted by the property experts and professionals allowing for more detailed information about your market and what makes your property ideal for an investor. The beauty of this is the ability to provide additional information that may be useful to investor versus someone who is looking to find their new home in which to live. You can bet that if someone is searching for their next home they have made themselves very familiar with different neighborhoods and they are looking at a very targeted market, for investors their search can be much more broad. If you have a listing that you would like investors to know more about submit it today! Our buyers have created custom profiles for all of the varying types of investment properties they are currently interested . We’d love to include your listing when it qualifies as a match and look forward helping you increase and expand you business. Being a business built around real estate, technology and data we are often looking into the future about what is next and making predictions. Over the last week and a half it seemed the future of real estate was coming at us at warp speed. Three forward looking concepts stood out: 1) Long time broker discussing virtual reality (VR) in real estate 2) Two examples in two different states selling their houses without an agent or broker 3) Connecting with Rexchange, a startup that sells your home using sophisticated digital marketing and retargeting tactics at a reduced fee instead of the MLS. Looking at VR. How far away are we from buying properties without ever setting foot in them? I suspect close, very close. Given the incredible experience that VR provides, a buyer is able to access the sights and sounds of being in a property and making a potential buyer feel as if they are standing in the home. You can look but you can’t touch…but isn’t that what the inspectors are for? They are the experts so if they can touch, inspect and provide a comprehensive report, buying based on a VR tour may be all you need. Not to mention if you are able to transact with VR you have time on your side, especially if you are looking at a property that is a great distance away. All of the sudden buying real estate outside of your location seems that much more possible. The two other experiences from last week are highly social. Everyone knows that social networks (Facebook, Instagram, Snapchat, LinkedIn, +++) are where people are spending time online. So it’s no surprise that agents and sellers are posting listings online but is it prolific enough to make transactions happen? The two examples I mention above were almost unintentional. The seller in the first example decided to sell her property and felt a sense of urgency to take action right away. Knowing that it was the the holidays she decided to list the property on Craigslist to see if she could get a feel for what would happen over this ‘slow time in real estate’, plus it would give her an opportunity to do some price testing before she met with her agent next week to formally set up the listing. She went out high on price and also knew she’d be saving commissions if the property had any interest. Whether the timing happened to be right or given the holidays more people had free time to spend online, she was flooded by replies, committed to a buyer in an hour, under contract in a day and is scheduled to close in less than three weeks beginning to end. The second sellers knew they were in a hot market but also were feeling a sense of community loss because they were moving out of state and it was a big family decision. They posted on the app Nextdoor that they’d be moving soon and would be listing their house in mid-January. The intention was not to sell their house but rather to let her close community know in case they new people hoping to get into the neighborhood. And after all they did love their neighborhood so they liked the idea of others in their neighborhood knowing about the upcoming listing early. There were many reasons they were nervous about listing their house, one of which was seasonality, January historically not being the best month to sell a property. That coupled with the fact that they wanted to rent back until the school year was complete, it was bound to make the perfect buyer more difficult to find. Within an hour she had 13 people reach out with interest via the app and a couple more that approached her in person and there were the cul-de-sac drive-bys. Being overwhelmed they replied that the house would be listed in 3 weeks and intended to be done with it…for now. That was until a friend reached out who had been inside their house and said she had a buyer. One of her colleagues was relocating and looking for a house that sounded like a perfect match. Not to mention the potential buyers were a family moving cross country who also wanted to wait until the school year was finished to move, they just had to connect. That’s went things got even more social. Later that day, there was the ‘tour’ of the house using FaceTime, one more extended phone call and by the end of the following day they had accepted an offer. Although the homeowner stories show a trend of selling your house without a real estate agent, we at Redi Match don’t think that the days of using an agent or broker are coming to an end. Not by a long shot. We do believe that there will continue to be more technologies and services coming to real estate and buyers and sellers will have options, many more options. Additionally, the real estate professionals that you are used to working with may change or expand what they bring to the table. Fee structures may change depending the services provided and time. For agents and brokers they also have huge technology advancements at their fingertips, not to mention industry experience, relationships and licenses that remove a lot of the risk from buyers and sellers. In our view, the influx of technology into real estate is going to open up with market for everyone. With VR, agents can help clients in person buy properties far away. The professionals maintain the relationships and help facilitate beyond the ‘referral’ system that exists today. The future is here and it looks bright for real estate! Work has vastly changed over the last 10 years and technology has played the biggest role in the changes and progress that have been made. People in a wide range of industries now enjoy the freedom and flexibility that prior was primarily available to creative careers such as artists, writers and the like. With the expansion of technology, people in more traditional roles are able to work in locations of their choosing. Software such as Slack, HipChat and others allow for team collaboration regardless if you are sitting next to your teammate or if you are a continent apart. How does this correlate with real estate? In many ways…considerations such as home office space and the freedom to live away from the city where your ‘job’ is technically located. Historically you have needed a home office with which to work out of. Remember the days of a land line for phone and computer? It may have even been a job requirement, not to mention a tax write off. A recent article in Bloomberg speaks to the fact that house listings that mention having a home office have decreased 20% in the last year. This is not because people working from home has decreased, rather people are able to work anywhere. With wifi and mobile phones you don’t need to be tied to a large wooden desk in a home office. You have the ability to work from the couch or roam around your house, coffee shop or park. Fifteen years ago when interviewing people to work from home the hiring manager would spend a tremendous amount of time deciphering if the individual has a suitable space to do so (corporate needed to know where to send the fax machine), why they weren’t willing or able to relocate and and if this person was capable of focusing on their job when not standing on the company carpet. So not only are more and more careers open to allowing people to work outside of a traditional office but further you can do it from anywhere and your new ‘office’ can change daily, if not hourly. For many industries globalization and technology has created a 24 hours work day…but again, it also created a tremendous amount of flexibility. Further related to real estate is the opportunity for people to consider moving to a new area that is more suitable to their non-work life or the ability for people to move more often. At Redi Match we love the idea of people being given the opportunity or more freedom and flexibility and we want to empower people to have more opportunities and choice. In ‘our’ world that focuses on real estate and we firmly believe that real estate can be a considerable wealth generator. For our part, we can help people make decisions; we can empower them with information and we can help them manage and assess changes in their real estate holdings along with the financial and tax consequences of any changes. We want to hear from you! Do you work from home? Do you require office space in your home? Do you think that an office is important as you purchase a property that will not be your home? All exciting factors to consider but don’t forget the math. For tax purposes if you are writing off a home office you have to adhere to the IRS requirements. As a company we think about this quite a bit when we are evaluating the trends in real estate investing. What may have been a good residential real estate investment 10 years ago may not be what people are looking for in the future. Further, how does this change help or hurt them when it comes to the financial aspect of an investment. Are you writing off your home office or will your prospective tenants? Investing in residential real estate is tricky. You need to consider your potential tenants before you even meet them and you need to make assumptions about how a space will work for them and possibly for their work…and it’s a moving target. *We do not offer tax advice. We recommend contacting a tax and/or financial advisor before making any financial or tax decisions. We are in the business of real estate and real estate solutions for investors and we firmly believe that Redi and its proprietary solutions open up real estate investing to a broader market. Real estate has been the gateway to wealth for many in America, and across the globe, and we want to help those that have an interest in researching, acquiring and managing real estate through technology development. Recently we had a meeting in Silicon Valley where we discussed real estate in the area (in case you are have been living under a rock we’ll share with you that it’s off the charts expensive…the current median home price in Palo Alto is $2.5M). We know the reason, we’ve read all the articles and some of us have experienced the tech boom of Silicon Valley first hand. In our discussion about the tech boom and startup phenomena of the area one thing that surfaced, that we at Redi found particularly interesting, is that the bulk of wealth that has been made in Silicon Valley in recent years comes from those who own real estate, not from the multitude of companies that are located in this outrageously expensive area. It could be a real estate bubble, in fact the market is seeing softer times right now… but the fact remains that more wealth has been created by real estate. At Redi we see this from two vantage points. First, hooray, you don’t have to be an entrepreneur or coding genius to participate in the wealth being created in Silicon Valley and beyond. It validates the continuance of a long history of wealth coming from real estate as an asset class. Second, it makes us think of all of the individuals in the area that are working hard, many of them making a tremendous amount of income but still are not willing or able to plunk down a 20%+ down payment on a $2.5M 1970’s tract home. What are those individuals to do? Our Redi Match product is a technology built for both groups of people. The later of which may not be willing to move but want to invest in real estate and buy a house…they just may not make it their home. Discovering a house to buy outside of where you live is challenging. Unless you are intimately familiar with an area and have connections in that area it’s very difficult to gather enough data to get you to a comfort level to pull the trigger and buy a property. It’s risky, right? Who are these people that are willing to take that kind of risk? To broadly categorize these risk takers they are those that willing, those that are able and those that are forced. The first are those that are willing, it’s in their DNA so to speak. The second are ‘able’. What we mean by able is that they probably have a safety net of some sort. They are able to take what someone from the outside perceives as a risk but for them they really aren’t risking much. Lastly those that are forced to take a risk…there are simply no other foreseeable options. Those categories of risk takers can be applied to just about anything in life but at Redi, we aim to take some of the risk out of real estate investing. We are bringing to light some of the pathways to making real estate investing accessible to more. After all it’s long been said that the “American dream” is to own a house. Again, this house just may not be your home. Whether it be your first real estate purchase and you are buying a rental because it makes financial sense or because you live in an area that is vastly overinflated or it is your second, third (or beyond) real estate purchase because you love real estate, want diversification in your investments or are looking for an annuity-like income stream. Let’s take a quick look at how seasoned real estate investors find properties now. For those that are portfolio investors (whether they function as individuals, corporations or the like) they have contracted agents, brokers or employees that help them find properties. They pay these individuals and groups to travel around, conduct due diligence and complete transactions. This is not accessible for those of us who are looking for our first investment property or for those of us looking to expand beyond our first real estate investment. If you aren’t a real estate mogul…yet….how do you get in the game? Is it focusing on neighborhoods we know, locations near family or places we’ve visited. At Redi we strongly believe that if we can provide more data and intelligence on buying, tax, financial and management strategies we can open up this potential wealth expansion opportunity to a much broader audience. The tax strategies and acquisitions intelligence that has been reserved for what we would call the uber wealthy or the top 1% is something we intend to open up as an opportunity for you. Sign up today for free and stay connected. By entering your email you will have access to data that will empower you to discover, purchase and profit in investment real estate. Learn more @ http://www.redimatch.com and https://www.propertycashflows.com/.